Why should you pre-plan your funeral arrangements? Because pre-planning offers you and your family peace of mind. Without prearrangements, your loved ones will be forced to make stressful decisions in the painful days following your passing. Don't leave your family to make these emotional choices when you can put your wishes in writing now! At Southern Funeral Care, we'll help you make important decisions about your prearrangements and determine precisely what type of services you desire. By putting your requests in writing now, you can take comfort in knowing that your wishes will be followed down to every small detail when the time comes. The style of casket or urn you desire. Type of funeral/memorial service you want. Where you want your service to be held. Flowers, food, music, media presentation and other details. You might also consider about pre-paying for your funeral/memorial services. Pre-paying allows you to lock in funeral services and merchandise at today's prices, which helps you to avoid inflation and takes some of the financial burden off of your family at the time of death. When you pre-pay for your funeral/memorial services, you ensure that your family will not have to bear the financial burden of planning a last minute funeral. With the cost of funerals increasing every year, you can save your loved ones a great deal of financial stress by planning now. Ensures that money will be available for your funeral service when the time comes. Allows you to plan and pay for your funeral services now if you don't have anyone to plan your final arrangements. Helps your family to avoid ever-increasing funeral costs. Whether your time comes a year from now or 30 years for now, your arrangements will cost no more than they would cost today. 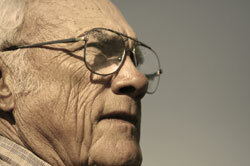 Southern Funeral Care offers a variety of pre-paying options. You can either pay for all your arrangements in one payment, or you can spread out payments over time. Either way, by pre-funding now you will prevent your loved ones from facing the financial burden of paying for your funeral in the future. Contact us today to learn more about our pre-planning options.